The high cost cost of internet subscription has almost limited my online presence for some time now, since network coverage in my area has been in its worst state of recent. I remembered talking about the Airtel 4Gig for one thousand Five hundred naira in the past, Yea! the plan was stopped but the greatest news is that the plan has been reinstated. This means that you can now get the Airtel Unlimited Blackberry 1+1 plan (4gig) at the price of N1,500 and above all, you can use the plan for two months. Imagine having upto 4gig of data for 2 months, it could improve your browsing experience, especially those who patronize the social media more on the web. I must say that the Blackberry plan is an affordable data plan to use on your Tecno R7 or Tecno Phantom z, since these phones often use more internet resources (Internet Bandwidth) on daily basis when there data service is turned on. -- As per the time of writing this post it is relatively fast. -- It has its validity extended to two months duration. That means you can actually use this plan for the duration of 2 months as far as you have not exceeded or exhausted the number of Gigabytes allocated to you. -- It works for all devices, including your Andriod, Blackberry, Symbian, Java and Pc's. Firstly, you must understand that this plan can only work on some Airtel Sim cards. If you are lucky, then it should work for you. I'd advice you check your eligibility before purchasing or loading the cards to subscribe for the Airtel Blackberry Unlimited. To check if your Sim card is eligible, simply dial the short code *440*161#. If you receive any message concerning not having sufficient balance on your Sim card, then you Sim is eligible for the plan. 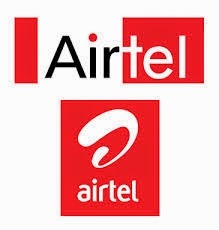 But if the reverse is the case, then you can try the Airtel 2Gig plan with the code *440*16#. Your Sim should be lucky to have this plan active. Are You Eligible For The 4gig Plan? If you are eligible for the 4Gig plan, then you are expected to load a recharge Pin of N1,500 equivalent. Upon confirmation of your recharge, simply dial *440*161# and thats all. You should get a message like " You have 4096.00 MB left of BlackBerry Bundle plan.Bundle expires on 22/Aug/14.Dial *141*1# to visit Airtel Smart Store for other BlackBerry Offers." NOTE: You can check your data balance by dialing*123*9# from your device. Feel free to tell me what you think of this post. The comment box is widely open for conversation. To stop throwing it at me. Thanks!!! !